In 1996, two researchers published The Millionaire Next Door: The Surprising Secrets of America's Wealthy. Unlike most personal finance books that pitch a particular model for "becoming rich", this book was the summary of a scientific profiling of people who had successfully amassed wealth. Rather than push an ideology, it simply reveals: These are, statistically, the factors wealth-accumulators have in common. Much of the specific mindsets and behaviors of these Prodigious Accumulators of Wealth (PAWs) will likely resonate well with Peak Prosperity readers. Pragmatism, practicality, and discipline are big hallmarks of their success. One observation that was very interesting to me was how self-made fortunes are often quickly lost after being passed on, usually within one generation. It's for an interesting reason. Most wealthy parents want their children to be well-off, too. But they don't want their kids to have to suffer through the years of uncertainty, anxiety-ridden toil, and risk that they had to endure. So they guide their children into more elite professions (doctors, lawyers, accountants, etc). But perversly, this insulates their children from the very stimuli that made these self-made millionaires successful. Overcoming adversity, developing iron discipline, learning to get by without enough, facing fears, turning failures into successes because there is no other option, etc. Without this Masters in Grit from the University of Hard Knocks, their children are more professionally cautious and less likely to make sacrifices in their household spending when they can't afford it. By protectively insulating their children from the more Darwinian forces of capitalism, they often unwittingly make them less likely to become PAWs. Their children just don't develop the musculature for it that their parents did. One of the things I appreciate about this book is that it summarizes its insights into practical, bulleted summaries that help make them actionable to the interested reader. The advice is relevant to anyone looking to build towards financial security; being a millionaire isn't required to be the end objective. For certain, the environment we live in has changed from when the book was first issued (several asset bubbles have since transpired; crony capitalism has worsened; QE-liquidity is creating a growing wealth gap between classes) -- but I think, in many ways, that makes the pull-yourself-up-by-your-own-bootstaps guidance feel more timeless. I certainly recommend it to the Frugal Living community here, and would love to hear the reactions of any folks here that read it. Note: If you're reading this and are not yet a member of Peak Prosperity's Frugal Living Group, please consider joining it now. It's where our frugality-minded community creatively finds ways to get our needs met while using available resources as sparingly as possible. Simply go here and click the "Join Today" button. I joined the frugal group not to be a millionaire but because I have my doubts about any pension scheme. While I was at the bookstore I threw in How to Cook a Wolf. 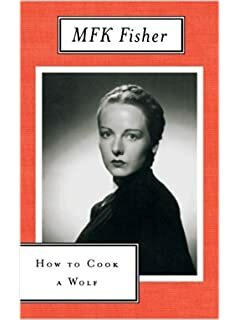 Something about wartime cooking which I consider to be relevant. My own contribution is to recommend sauerkraut. It works for a single person. I take what I need for my plate and the rest keeps amazingly well. No spoiled vegetables. There is a well-known saying in Chinese, "富不過三代" or "Wealth does not last three generations" (literally: prosperity/wealth will-not/does-not cross/pass three generations). Similarly, the story behind this is that the parents struggle to succeed, the children see the struggle and benefit, but don't pass the lessons on to their own children. The grandchildren grow up spoiled and squander the wealth, and you're back at square one with the next generation after. I've added it to my PaperBackSwap wishlist (yet another frugal tool that I use and love). Those stats you quoted above are very thought-provoking, Adam. It certainly puts a new twist on the concept of living like a millionaire or living like a rich person. Well, this hits one of my rant buttons, so indulge me (I hope). So many people with the McMansions and expensive cars are running negative balance sheets - negative net worth. So much in this society is superficial appearance. If you appear wealthy then you are, or so it seems in this surreal cutlure. It's all part of the superficial, pop/consumer culture that is imploding before our eyes now. My wife and I definitely qualify as frugal and always have, and, I don't mean to brag, but we have a net worth that most of the people around us wouldn't believe. The key for us has always been to avoid debt (never had any), assess every single purchase, and be very, very careful about taking on any sort of ongoing expenses. Above all, do not get sucked into the consumer mindset and lifestyle. But, oh my God, have we been criticized and ostracized through the years - "Crazy old Hippies" etc. The big problem these days is that the few of us who did save can no longer get a decent return on our savings without taking a lot of risk. We are essentially being penalized for saving and having been frugal (Thanks to the fed reserve, the Bernank etc) Oh for the days when you could get 5% (or even more) on a long term bond or CD with virutally no risk. Additionally, all that saved money is in risk of a dollar collapse or at least erosion if you leave it in cash So, what's left - well OK, farmland and PMs and energy. But, the point is that for many people the frugality is not paying off as promised. Moreover, the system is now very much discouraging savings. Can you imaging taking your 5 year old to open a savings account these days (the way my folks did in 1959)? What a joke; what would be the point? If Junior has any sense at all he'll decide to not save in this sort of dollar environment. My Scotch grandfather used to always say "if you want to buy something, set the idea aside for a week and see if you still want it". Guess what, much of the time you won't even remember what it was. But this MO is totally different from the current "I see it, I want it right now - how much are the monthly payments" sort of mentality that dominates our culture. Like many on this site, we live in an extremely modest way. We always have, but in 2005 we even started growing much of our own food. We now grow about half by volume in our huge garden. I cut wood and we heat with it etc. Our living expenses - not including medical (insurance premiums etc), are well under 13,000 per year and we're still working to par that down evern further. We both try really hard to increase the local economy, and to be self sufficient as possible too. (I'm sure this is familiar to others on the site - we're nothing particularly unusual here). But relative to the people around us, we are about as counter cutlural as you can get. It's funny though. I;ve seen the change. I was born in 1954. At that time people in this town still lived - to a high degree - with frugality as a way of life. I've the seen the transition into consumer culture and related psychology which is now culminating. It forces people to remain like children with childlike attitudes, incapable of taking care of themselves. It also makes them dependent on a precarious system. Spiritually it leaves them in a vaccuum which the culture attempts to fill with the latest gismo or other superficial nonsense. It's pathetic really. I'll stop ranting. Frugality yes - definitely the path, but don't try to save in those federal reserve notes. Rob P - a most excellent rant! I've the seen the transition into consumer culture and related psychology which is now culminating. It forces people to remain like children with childlike attitudes, incapable of taking care of themselves. It also makes them dependent on a precarious system. Spiritually it leaves them in a vaccuum which the culture attempts to fill with the latest gismo or other superficial nonsense. It's pathetic really. Indeed.. I have so many contemporaries ( I am a little younger than you.. born more at the tail of the boom) that live just as you state... they have the big house, the pool, the convertible... but I have to believe after they finish paying for college for their kids.. they will have little left. They will be completely dependent on a way of life, and a means of income, that will be going extinct. I do have one friend in this category who has started to open his eyes... and has started converting green paper into hard assets... but for the most part I have been unsuccessful in bringing about the viral wave of awareness that I once thought I could. It is this dependence that you cite that makes me want to have a pathway out of the US ultimately.. to someplace where they are more used to not living large. since unmasking the fraud that is our financial/monetary system I've done a 180 degree turn in how I live my life. My wife is frugal in the sense that she doesn't spend money she doesn't have, but I just can't seem to talk her into cutting back and saving 10-15% of her paycheck. Oh well, I'm careful not to pick that fight anymore because I know it annoys her. But progress is being made. She even paid her credit card off in full last month. I haven't used a credit card that I didn't pay back in full the following month in over 2 years. We buy all second hand toys and clothes for our son. I even walked out of a high end shoe store the other day because I could not justify spending $200 on shoes that 2 years ago wouldn't have thought twice about not buying. The funny thing though, is that I love living like this. It's a challenge and I welcome it everyday. I could not envision ever going back to living off credit and buying expensive things. I'm 35 and my goal is to save every single penny I make to get out of the city we live in and to get somewhere where we have land to grow food and our own water supply. It truly is a race against time at this point. I spend time everyday crunching numbers and trying to figure out what it will take to be debt free. Great Rant Rob P....but if I may, I'd like to add my rant. People might not be aware of what the banks are doing these days for many of those homeowners who bit off more than they could chew. (I know the narrative is that these poor underwater homeowners were duped by the banks into buying those big houses - that is not what I have seen.) I happen to work in a field that gives me a glimpse into the home modification process. Here is what I have seen lately, albeit only a small sampling: Back in the early 2000's folks bought houses they knew they couldn't afford but what the heck, the prices were going through the roof and that house could be a mighty fine ATM. The market crashed and those folks found themselves in big fancy houses with an upside down mortgage. No problem, they just stopped paying their mortgage. That made it all the better to continue their profligate consumerism and they found they now had extra money to buy more toys. They figured they might as well sit in their homes mortgage free until the bank throws them out. They went through modification motions to drag the process out....for years. Suddenly, and lately (at least in S. Calif), the banks are actually agreeing to the modifications, drastically reducing their mortgage payments AND not only that, the banks are writing off hundreds of thousands of dollars on the homeowner's principal. (Never mind that they didn't pay on their mortgage for several years.) I kid you not, this is happening. I suspect the taxpayer is actually picking up the bill on these HAMP modification/debt forgiveness. Those who call for a debt jubilee....well, the most irresponsible among us are getting their jubilee. In the meantime.....I have lived a frugal life, often doing without. I have never been in debt other than a mortgage I could afford. I have never bought fancy toys or cars that were beyond my means. As Rob P pointed out, my savings earn a pittance and I have increased my own financial pain by sitting out this roaring stock market. The way I see things, frugality is for chumps. Edit: I just read a total misunderstanding of my intent on another post that was offered in a similar vein. So to clarify - This post is not meant at all to impart self-pity or any other such nonsense. Personally, I would never want to trade places with the folks I mentioned above and I am quite content with a frugal life. I put it up there just to share something I have witnessed that, frankly, shocks me and illustrates just another way that the responsible people are screwed. Anexamined - well, you know, in the long run (which is getting shorter all the time - ha! ), those profligate, moral reprobates (just kidding) may wish they were in your shoes, with your habits and so forth. Much is changing and I think it is only getting started. Also, you may well be glad you avoided this current stock market. For typical stock investments, taking advantage of the temporary run-up requires knowing when to get out and that is NOT easy to determine for anyone (uderstatement of the century). I will never never forget that day in October, 1987 when suddenly the bottom just flat fell out of the equity markets. I would not be surprised to see such a thing happen here though they would stop trading and try every trick in the book to arrest it. Jcat - I don't mean to pry, but do you know where you want to move to? One thing I'd say: You seem to feel pressure about making the change in time, and it may well be justified, but I'll just tell you that I've been waiting for the whole system to collapse since the 70s (Limits to Growth -1973). I guess I'm just predisposed to being a dommer, but I also have trouble ignoring a good solid argument (e.g. crash course) In 2005 I really got upset about peak oil (again) and felt a great deal of pressure to make a lot of changes in regard to self sufficiency and resiliency , which we did make and I"m happy we did. But I was really nervous about it. But the big crash didn't happen all at once like I thought it would. Things seem to have a way of playing out slowly. I now think that John Michael Greer's view is probably correct. We're in what seems like a slow decline that is playing out over a decade or two - or even three. There are times when the system ratchets down abruptly for one reason or another, but mostly it's a slow decline which I think will give people who are wise enough to prepare more time to do so. When looked at from the broad expanse of history - the US empire, the rise of industrialism and so forth - 20 years is actually a short time. I hope I'm right. But in any case I salute all your efforts. You have great responsibilities in very difficult times. Jim, I certainly can understand wanting to get out of here. I don't really know very much about it, but I know that Costa Rica is a popular option that many are taking these days. I gave it a thumbs up! Loved the rant, Rob P.
Gosh, I wish you lived nextdoor to my husband and me. We'd be buddies. We're only a year younger. Same mindset, all the way. And Adam? Great topic. The list reminded me of my quiet millionaire relatives. Same house for decades, married, extremely frugal, older car, no private schools, no luxury goods. They were in that 20% that inherited the wealth, but had degrees in the school of hard knocks before that. And, Poet, your post reminded me of Peal S. Buck's The Good Earth. "Wealth does not last three generations" was the theme of that novel, set in China. We are down two places, Blacksburg VA & the Manchester/Concord NH area. The wife and I plan on revisiting Blacksburg in May and will take a camping trip to New Hampshire in June. We are somewhere in the 6-24 month range on pulling the trigger and doing it. We are probably leaning towards VA as I have family in the Charlotte area and my wife is not a big fan of the cold. I agree with your narrative with it playing out over time. But our minds are 90% made up and we want to get our new life started and have another child. Many hurdles ahead but I agree with the sentiments in your rant and want to show my child (any hopefully children) that a strong work ethic and pride in how you live is greater than any material item you can ever give them. In 1986 my husband and I uprooted our thoroughly suburban lives and moved to the Shenandoah Valley of Virginia in an attempt to become self-sufficient back-to-the-landers. We renovated a derelict farm house and heated it with wood, milked cows and goats, churned butter, butchered chickens, sheared, spun and wove with wool from our own sheep, harness-trained a Quarter horse to field work, raised pigs for pork (while my husband considered himself Buddhist! ), and home-schooled our eldest daughter. We gave that all up within a year of having visited Vietnam for the first time in order to adopt two children. With the perspective gleaned from that brief time spent in Vietnam, we realized that we were so laughably far from subsistence that I yielded to the mutiny led by my eldest daughter to return to the promised land of suburban American life. And there we stayed for a number of years until, with the re-election of George W. Bush, my husband and I realized that there was absolutely no hope for America and we started to cast about for some way out. We found that route out in 2005, while on a return trip to Vietnam to do volunteer work. We recognized in Vietnam a place where we might live out our lives while making a positive impact in the lives of others. Our Vietnamese and American daughters were by then grown and there remained only our Vietnamese-born son to consider. So, in 2006, with a reluctant son in tow, my husband and I moved to Da Nang, Vietnam. It seems counter-intuitive to choose coastal Vietnam as a place to relocate to when climate change and potential sea-level rise are looming before us. I guess that, other than having some familiarity with the place and having a strong sense of mission/destiny/whatever, the deciding factor for me was that I felt that Vietnam was so much better poised to navigate the post-Peak Oil, post-global trade future. Dwellings and places of business here are clustered closely together to facilitate what was, until very recently, a human-powered system of transportation. Most food is grown and marketed locally. Petroleum-dependent modes of transport are recent add-ons, rather than the determining factor in how everything is laid out, as they are in the States. And, despite the dizzying pace of development and Westernization taking place here in the past few years, traditional knowledge and practice are much more accessible than they are in the States. For example, other than my own abortive attempt to re-invent farming based on what I had gleaned from library books and conversations with my elderly patients, the last member of my immediate family who had any farming experience had been my grandmother, who left her family farm in Ireland more than one hundred years ago, at the tender age of twelve. In contrast, folks that I encounter here in Da Nang and the surrounding areas grew up farming and even college-educated twenty-something-year-old city dwellers know how to make do with very, very little--thanks in large measure to the educational opportunities made mandatory by the US-led embargo that relaxed a mere 15 years ago! Here, in a nutshell, is the essence of what I have learned by meditating on the failure of our farming adventures and through what I am observing here in our new life in Vietnam: COMMUNITY IS ESSENTIAL! Have you ever read the Little House on the Prairie series of books by Laura Ingle Wilder? I did. In fact, I read most all of them aloud to my home-schooled eldest daughter. In retrospect, I think that I inadvertently merged the idyllic picture of the bountiful life depicted in Farm Boy, a romanticized account of Wilder's husband's childhood on a prosperous farm in upstate New York with the isolation and do-it-yourself childhood of Wilder herself depicted in Little House in the Big Woods. I had a lot of support in this delusion, of course, having been steeped in the notion of American individualism and supposed self-sufficiency. In reality, survival--let alone thriving--as a solitary individual or nuclear family is well-nigh impossible. We need each other. We have evolved to work and live in community with one another. You're not going to make it alone, wherever you live. So, the question is: what can YOU contribute to that essential community? Very interesting post. Thanks for sharing a different viewpoint. My only reluctance regarding Vietnam would be the cumulative carcinogenic and teratogenic effects from the chemicals used in the Vietnam War. I recall viewing some charts on this subject which did not bode well for the future health of the Vietnamese people. I'm not used to posting at this site. And a good idea. I have too many books. Better pass them on. Except the fovourites. I won't read them again but they have given me too much. Steady, I'm just going to relate my views here - in regard to community building. Up until 3 years ago my wife and I were putting all of our efforts toward eventually building a community on our land in Illinois. I was heading toward retirement and we very much planned to start a small permaculture based community of maybe a dozen people as our legacy. We have no children. Prior to that time we'd visited a number of communities. I even spent a summer at "The Farm" back in the 70s, so we really weren't new to all of it, but I still think we were naive about it. I the last few years we've seen several attempts by friends and others to make small communities and we've talked a lot about other attempts with Bill Wilson at Midwest permaculture and others. It's important, I think, to note that these were all people in the US. These attempts have all failed or been extremely difficult. Because of this my wife and I have shifted our vision away from starting a small community. I think I can encapsulate what the problelms are (from my asessment anyway). Firstly, people in the US, particularly the post WWII generations are very unusual. We're used to always getting our way. We grew up in a time of unusual possibilities and choices and we are not used to living with limitations. Furthermore, we are not used to thinking of the group first rather than our own needs (Very much unlike traditional Asian people - totally different psychology). We are also self absorbed in our own little dramas as if we are the only people on the earth. In other words Americans are not used to compromise, thinking of others first, flexibility, and sacrifice. We're also kinda lazy (knda?? ), with all those machines running on hydrocarbons doing everything for us all the time. Finally, I believe that we have literally lost a good number of basic interpersonal communication skills, particularly those related to conflict resolution. Becasue of what I've seen in recent years - failure by some of the best people I know, people I thought could have done it, I'm no longer up for it. Now, if you're talking about Asia - to whatever extent it hasn't been infected by American consumerism and narcassistic individualism - it really is a different matter. My wife has a lot of history living in Asia, specifically Sri Lanka, India and China, so much fo this is second hand and also through studying cultures.. I would say this: Those people - especially the more traditional ones not totally infected by colonialism - come up in a world in which they have to cooperate, they have to in order to survive. They don't know of anything else, or don't expect anything else, and they're used to it. Some of it is the identity structures of the culture - class, patriarchy etc - but at the core they have to cooperate because they have not been released from that need by the use of fossil fuels the way we have. The aslo don't come out of the history of individualism that really is there in the West. We are individual consumers with individual identities and "desires" paramount in our psychology. Many of them now want to be like us (Think China). But the point is, in my view, our natural, pre industrial state, involves a lot of cooperation by nessessity, but we lost all sense of that as we grew into consumer culture during the post WWII era. Now you have people who may not even be capable of it - or may be able to do it, but only with a great effort, or only under duress. In my opinion, many people now, in this culture, are also, in one way or another what I would loosely call mentally ill for lack of a better term. Consumer culture has produced lots of anxiety, depression, addictions and other very dysfuncitonal behaviors. It's pervasive, but few see it as a product of the culture. over to this site. Appeals to me and is under consideration. Curiously, I received an email from my Taiji instructor regarding "The Blue Zones", or 9 regions in the world known for longevity. In 2004, Dan Buettner teamed up with National Geographic and hired the world’s best longevity researchers to identify pockets around the world where people lived measurably better. They found five Blue Zones, places where people reach age 100 at rates up to 10 times greater than in the United States. With this research we then, in a sense, reverse engineer environments of longevity. One of which is Okinawa, Japan. Explorers describe Okinawa as an exotic group of islands with a warm, temperate climate, palm trees and sugar sand beaches hemming a turquoise sea. This Pacific archipelago sits 360 miles off the coast of Japan, about 1,000 miles away from Tokyo. Okinawa was first referred to as the land of immortals. Even after repeated invasions by both the Chinese and the Japanese, Okinawa still claims some of the world’s longest-lived people. People in this region have less cancer, heart disease and dementia than Americans. Since the invasion of fast food, the life expectancy of natives plummeted, with some parents now outliving their children. Okinawans purposefully restrict the number of calories they eat. Before every meal, they say, hari hachi bu, which means ‘eat until you are 80% full.’ It takes 20 minutes for your stomach to tell your brain its full, so by practicing this old adage, Okinawans avoid overeating. The health of the people in this region revolves around their gardens! Locals spend a lot of time tending (and eating) their herbs and vegetables, havens rich in vitamins, minerals and antioxidants. Turmeric’s benefits include high levels of antioxidants and anti-inflammatory properties, while mugwort helps prevent malaria. Being out in their garden also gives Okinawans a lot of exposure to the sun, giving them ample opportunity to absorb their daily dose of Vitamin D, good for bone health. The Okinawans try to maintain a positive outlook on life, much like the Sardinians. They live for their ikigai, reason for waking up in the morning. Another key to longevity here are their moais, groups of lifelong friends who act as social, emotional and financial support networks. Develop a strong sense of purpose, called ikigai, or that which makes life work living, by keeping family ties strong and maintaining close groups of friends. The Okinawans call these moais. Stay active, and maintain a vegetable garden. Not only do gardens provide natural sources of healthy foods, but also an outlet for daily physical activity. Because of the temperate climate, Okinawans can garden all year round and get plenty of bone-health promoting Vitamin D! Maintain an herb garden. People living in homes or apartments can grow and maintain herb gardens. Include ginger and turmeric to get the same health benefits as the Okinawans. Eat a plant-based diet. Use vegetables from your garden, a farmer’s market or even a grocery store. Okinawan centenarians consume soy products, such as antioxidant rich tofu for additional health benefits. Hari hachi bu. This old agage, translates as “eat until you’re 80% full.” The Okinawans say this before every meal to remind them to eat moderate amounts of food. Smile! Okinawan centenarians embrace a positive outlook on life, in spite of or because of the hardships they endured throughout their lives. There seems to be lots of similarities...(except for holding PMs, but for me that's embedded in bullet point #1). Ao, you're certainly right that residual Agent Orange continues to affect lives here in Vietnam. Here's an article I wrote in 2008 regarding my contact with individuals who must still deal with that legacy. Currently, however, folks are much more concerned about the funky Chinese chemicals that are being used in the food that they currently eat. As a result, I'm somewhat of a celebrity due to the fact that I grow organic veggies on my rooftop in Da Nang. The secret is out about the opportunities in Chile. Two of the most renowned "escape artists", the Sovereign Man Simon Black and the Dollar Vigilante Jeff Berwick, both agree that Chile is the best country to escape to. Each is developing vast expat communities in Chile (SovereignValley.com and GaltsGulchChile.com). Chile is a fully developed country with modern cities and a rich countryside with stunning views of the Andes mountains from almost any location. Wikipedia tells the whole story; "Chile is one of South America's most stable and prosperous nations, a recognized middle power and an emerging economy. It leads Latin American nations in human development, competitiveness, income per capita, globalization, state of peace, economic freedom, and low perception of corruption. It also ranks high regionally in sustainability of the state." Chile maintains a lower cost of living than North America especially for rent and fresh food. Americans can get a tourist visa (good for 90 days) on entry to Chile for a cost of $160. Residency requirements in Chile are relatively flexible. Escapees can qualify for a Chilean Retirement and/or Income Visa by proving an income of between $500-$1000/month. Entrepreneurs can get residency by starting a business and foreigners can easily get a visa by working for a Chilean company. Rob P: I agree completely with your assessment regarding the present disinclination of Americans to apply themselves to anything resembling a serious attempt to create anything along the lines of a sustainable, community-oriented way of life. And one of the really fascinating things about my exposure to Vietnamese life and culture (initial visit in 1995, return visit in 2005, living here continuosly since 2006) is how the trajectory of things has seemed to mimic the course of American culture on steroids. From what I've heard, the 1980's here were like the 1930's in the US--stark poverty and deprivation. By the time I showed up in 1995, attitudes seemed much like the US in the 1950's and people were still uniformly thin and poor. Returning again in 2005, it reminded me of the early '60's--a big emphasis on education as the ticket to a bright future, but still a place where my long-haired, smart alec teen-aged son stuck out like a sore thumb. In the seven years since then, the culture and living standards have changed radically. I-phones, flat screen TVs, refrigerators, and cars are ubiquitous and family and cohesiveness are declining precipitously. It's really rather breath taking! The difference here, however, is that most people still do have family, often in the countryside, where they can return when the economy turns down. Also, few people, as of yet, are mired in debt to banks. Most borrow money from family members and friends if they need to borrow at all. And there is that knowlege and experience base, at least in those thirty and over, which I believe will stand them in good stead when the present good times fizzle out. I think it will be a much tougher haul in the US, where that sort of mind-set has been long gone for generations. I don't have the experience or knowledge of any of the folks discussing Vietnam or Okinawa, but a brief anecdote on a Korean woman I met. Her son, a Christian cleric of some sort, settled in our rural community for reasons that escape me, but about 15 years ago he brought his 90+ mother over from Korea to live with him. One day I was out working in my ornamental garden, consisting largely of ornamental grasses and a variety of flowering perenials. He stopped his car and asked if his mother could take a little tour of the garden. Of course I said yes as I liked to show it off. His mother appeared frail by our western standards as she was diminutive. Nonetheless, she needed no assistance getting around and was very pleased to be looking at plants. Her son told me she was an avid gardener (one suspects at least partially by necessity) in Korea. I was surprised the first time she saw a near-the-ground species and without thought went into a full crouch, examined the plant and then sprung back up with the effortlessness of a child. I've known a fair number of 90+ people in my life (women in my family tend to live long), but never met one close to as agile as she. I have no reason to think she was anything but happy with her life. I have encountered her son from time to time since then. She died a couple years ago at around 100 yo. There is something to be said for working hard all your life raising food for your family and community and eating far less than most Americans. Steady, and anyone else who might be interested in the affect of consumer culture on traditional/subsistance people - you might want to try Helena Norberg-Hodge's "Ancient Futures" if you don't already know of the book. She researched the demise of Ladahki culture and society as Western consumerism moved in. Your description of Viet Nam and what has happened there really sounds similar. I know that my wife hasn't been to Sri Lanka in 25 years. She truly loved the rural peasant life but she returned because she was in danger with the civil war going on.. I'm afraid to take her back because I fear how it has likely changed with consumerism moving in. Your description of Viet Nam, though, is very interesting. They can still remember a lot - wheras here, so much has all been forgotten generations ago. I dont want to say it's hopeless here - but really, many days I do have that thought. Ms. Norberg-Hodge also made a dvd entitled the Economics of Happiness that is, at once, a delight and a heartbreaking reminder of the economic forces of our time. You can get it at www.theeconomicsofhappiness.org. Yes, thanks Doug for that link. I had lost track of what NH is up to. I think what you've written above is really profound. I've been on the edge of thinking that sort of thing myself lately, but you said it. What is life about? You know, here, we value personal accomplishment and acquisition etc, but I think it really is very simple. I liked your story too - about the older korean lady. I've met several older people like that over the years. There is a certain humility about many elderly asian folks. But that physical health is probably the vegitable diet. Doug and Rob P: As a physical therapist who worked for thirty years in the US before coming to Vietnam, I can certainly relate to what you are saying about Asian flexibility and agility. I often have elderly stroke patients here in Vietnam whose balance and flexibility is on a par with, or better than, non-disabled Americans because of their prior lifestyle. The Asian Squat which you can see demonstrated in this really funny little video is built into the culture and is quite functional, allowing you to take a relaxing break where there are no chairs (in poor homes, soggy rice paddies, in the market and on the sidewalk for example). Cute video. I always found it interesting how Asians and Africans squat but, by and large, Europeans don't. Part of it is use of the position and part of it is anatomical and morphological. When one compares the knees of an Indian (Asian, not native American), Japanese, and European, for example, there are distinct structural differences. For example, the Indian knee is particularly favorable for comfortable long term squatting with a notch in the tibia for the patellar tendon and slimmer calf muscle shape as just two of the design features that favor comfortable deep squatting. As another example, the Japanese knee has stronger capsuloligamentous design that favors greater strength and less injury vulnerability when moving obliquely deeper in the range. There are many other differences as well with this study being just one example. That being said, most Europeans should be able to squat fully and comfortably if they begin at any early enough age. My father could squat easily until the time he died and I can squat easily as well at almost 60. However, if one has not squatted on a regular basis by middle age, it is much more difficult to do and sometimes impossible. The interesting thing about joints is that they can wear where there is either too much pressure but also where there is too little pressure (such as in the extreme recesses of the hip, knee, or ankle joints that wouldn't normally make contact except in a deep squat). As such, it's a good idea for the resilient and prepared individual, who wants their body to be able to handle anything that arises, to regularly take all the joints in their body through full functional ranges of motion. Using the full squat rest position would be part of this type of body maintenance activity. I think that there are two key anatomical issues with regards to the ability to keep your heels on the ground while squatting. The first is that, because Vietnamese parents put their kids in a squatting position early and often, I believe the ligaments of the feet are stretched so that a Vietnamese foot typically presents as flatter and wider than the idealized high-arched Western foot and allows increased forward flexion at the ankle. The second is that, if you have a really thin leg, the mass of the posterior thigh and calf does not limit knee flexion as a heftier leg mass would. Affluent Vietnamese, who tend to be fatter and who habitually sit in Western height chairs, don't squat nearly so well as do thinner, poorer folks. 4) by giving away money to those who don't need it like the government, banks, investment organizations, insurance companies, car dealers, etc. by not making wise choices, not comparison shopping, not negotiating, etc. 5) going on really good vacations with my loved ones that provide all involved with life long memories that neither poverty nor famine nor disease nor war nor death can take away from you. Money is only a tool, meant to be used but not to be wasted and not to be hoarded. Indeed, chairs are a key. It's one of the reasons (much to my wife's chagrin but also to her benefit) that I've always insisted on keeping our bed on the floor rather than elevated. It improves and maintains ankle dorsiflexion, knee flexion, and hip flexion mobility. And chunkier limbs do indeed tend to lead to less range of motion. From my knowledge, a high arch isn't necessarily idealized in the West but rather a medium height arch, neither overly pronated nor overly supinated. But aboriginal peoples, whether in Asia, Africa, Australia, Oceania, or where ever, tend to have flatter, stronger, tougher feet. How many Americans can climb a palm tree with their feet and hands like a South Sea islander? The key factor is, is the flatter foot weak and floppy or strong and more stable yet resilient? Also, the healthy foot, like the healthy hand, should spread with weightbearing pressure, not be held pinched together and narrow such as occurs with wearing shoes all the time. The fastest natural runners in the world tend to have flat but strong, stable feet, which act as a more effective, more rigid lever for higher force transmission. In any weather above 50 deg., I walk or run barefoot on a sand beach near my house which has kept my feet stronger and tougher yet more supple than most folks my age. Years ago, when I trained heavily in martial arts, I even ran barefoot in the snow like the Koreans but I'm too old and wimpy for that now, lol. A copy came up for swap and it's headed my way already. Good timing. I'm looking forward to reading the book. While money is important, to me, time is even more important. Money can be earned, saved, and expanded by business and investment. Time, on the other hand, is non-expandable other than for attempting to add years to your productive life by good health habits. I was just perusing my library looking for a particular book when this one called out to me: Time Tactics of Very Successful People by B. Eugene Griessman. It was one of the best time management books that I've read and would be a good complement to The Millionaire Next Door. Interesting. If anatomical differences potentially make a difference, I would wonder how American (of European ancestry) baseball catchers fair in terms of knee related problems. Do they have a higher incidence of knee related problems than either the general population, other baseball players, or athletes. It's probably the best comparative cohort we have. They look quite comfortable in their position. I always found the squatting position, even as a child, quite uncomfortable. Look in NE W. VA. If you look out NE of Dolly Sodds, some farmland there is pretty cheap. Same with land north of New Market VA, last I knew. NE of Dolly Sodds, though, watch out for sink holes. I'm not sure what the underground geology is like, but the freeze-thaw cycle seems to be hard on the ground. Occasionally someone falls into one IIRC.